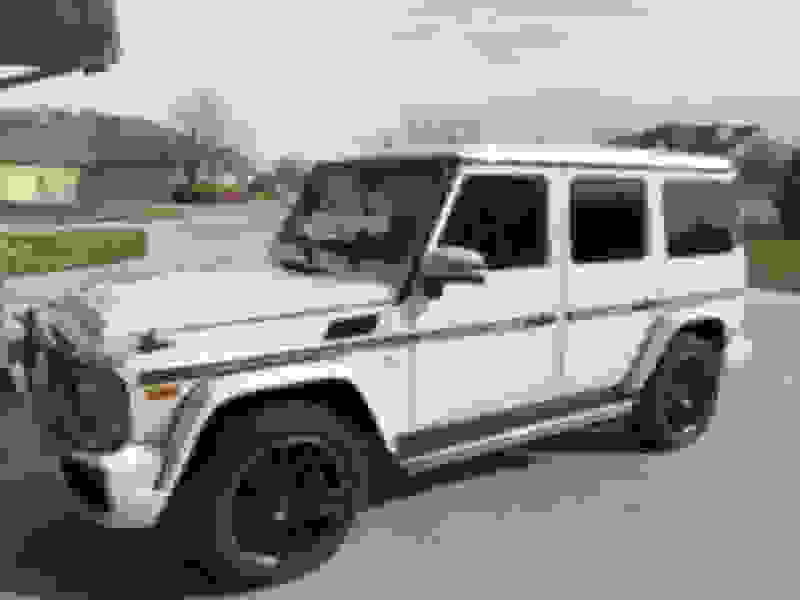 I currently have a 2019 G550 on order (ordered back in February and it is currently at the port). My dealership has a 2018 G63 AMG that they are offering to take $15,000 off the sticker price but for the 2019 550 they will sell at sticker. Essentially making the two vehicles comparable in price. Both are the same color combination. Which route would you take if you were in the same position? I had a 2016 G550 and now a 2017 GLE43. Don’t know how the depreciation will be on the 2018 AMG since it’s technically the “old model.” Give me you thoughts, thanks!! I guess I need to ask you why you ordered a 2019 G in in the first place? Assuming that it might have been due to the ‘16’s deficiencies, does moving up to the AMG or a $15k discount mak it now worthwhile? If my assumption above is wrong, then are looking for the latest and greatest? For me, after test driving the ‘18 and seeing the antiquated(cup holders as an afterthought) interior, I chose the ‘19 even with the inconvenience of ordering and waiting for some undetermined amount of time. Loved the 2016, but had major flooding issues with it and it ended up being lemon lawed. Dealer didn’t have any 2017/18’s G’s when that happened and I needed to get into something quick. Dealership is in a small town, I like to buy from them because of their great service program. I'd go with the '19. I think the upgrades will make a distinct difference. The ride and handling should be better and the interior appointments and comfort far superior. You get all this and retain the unique identity of an iconic G. But that's just me. It's anyones guess as to the future value of the older model. I would guess you would be better of, depreciation wise, with the '19 based on the seemingly strong demand for the new model. I would think the demand may exceed supply for the first twelve to eighteen months. Best of luck with whatever choice you make. If you loved the ‘16, you’ll probably love the ‘18 too. Have driven the ‘18 G63? How does it compare to your G550? G63 seemed louder and faster — a little more fun to drive. I hope the 2018 doesn’t have the same bugs that my 2016 had with the roof pouring in water every time it rained. Truck was in the shop more than on the road. 2019 could have issues with all this new technology they’re putting in for the first time. Tough decision. I had a 2016 G550 (Designo Mystic White Metallic with Classic Red Nappa...gorgeous). I now have a 2018 G63 (Iridium Silver Metallic with Classic Red Nappa...gorgeous). As much as I loved my 16 G550, the 18 63 is a BLAST and I am soooo happy. It is so fast, sounds amazing and just feels really special. Even here in L.A., with Gs everywhere, I get tons of looks and people talking to me at gas stations whilst filling up. I think fun wise, an 18 63 will be so much more fun than a 19 550. We are on G-Class #10 I think now, and NEVER had water issues in any of them. This is NOT a usual G or Mercedes problem. You just, sadly, got a short straw. Softness, comfort and cup holders important....get the 19 550. Owning a monster AMG with the last 5.5 V8 offered in the G....get the 18 63!! Yeah, I had a “shop car” a bunch of years ago. It soured me on that brand and never bought one again. If you have some free time, please check out the video below. Ignoring the G65-specific comments, I would suggest that if you are thinking this guy is an idiot and just doesn’t understand the G, then jump on the AMG deal. Otherwise, if you find yourself agreeing with the reviewer’s insightful observations, then holdout for the ‘19. Get the 2019 for sure. It's 100% redesigned. The market is very very efficient, there's a reason why they are discounting the 2018 . Once the new ones are distributed, the previous generation will take a hit (especially since MB is not increasing the price for the new redesigned Gwag much). Don't even give it a second's thought...2019 all the way!! I’m in a similar place. Strongly leaning towards getting a 2018 63. An AMG is an AMG. The deals are quite attractive and I’m fine with not getting the first ones of the new model. I figure I can enjoy the 2018 for a couple years and trade on the new generation once the frenzy dies down. Also, let them work out any potential gremlins on the new ones. Either way, it’s a good place to be. Both are fantastic options. I can live without cup holders. Last edited by places; 10-23-2018 at 12:17 PM. Curiously, do you close that vent? Or if you leave it open does it obstruct much of the air? I have a 2013 G63. Will be getting a 2019 G550. The 2019 G550 makes plenty power and the new front end/steering will be welcomed. I do not feel the need for AMG this time around. Perhaps the less sporty suspension and smaller wheels will make for a better ride. Similar situation. Have an offer for 15K off on a 2018 G63 and I can push it to 20K off. Not sure if I should wait and test drive the new 2019 G63. I test drove 2019 G550 and the drive did not feel like a G-class anymore. Yes, it looks like a G-class and the view from the driver seat is the same as before. However, it drives very similar to my RRS Supercharged or any other luxury SUV. One of the reasons I fell in love with the old G is the characteristic of the drive. The wheel of the old G feels heavy and it truly felt like driving a truck. Now it feels like driving an S-class, just lifted. I am hoping 2019 G63 will have a different drive than G550. I am leaning towards purchasing 2018 G63 now and might trade in my RRS for the 2019 G63 once they stop with the markups. 15-20K off sticker is hard to resist. The 2018 G wagon is an outgoing model now. Last of the classic. Not sure where it will have its place in history in terms of future resale. The new 2019 G550 ride you experienced is due to the independant front suspension and electric steering. So the 2019 G63 will feel more less the same. (The AMG will have the 20" wheel standard and most likely a slightly "stiffer" tuned suspension). Personally, as much as i love the old G wagon characteristics, the updated front suspension and steering along with larger interior will make the truck much more practical. With a 2018 G and a 2019 G in the garage, when it comes time to grab the keys the 2019 will win everytime. I went with a new 2018 G63 and love it! Bigger liter engine that sounds better and the old iconic look! If I want a bunch of electronics, I would go with a RR. But thats just me! No disrespect to the new models! Fantastic! Congratulations, she's a beauty. Love the white. You're going to really enjoy it. My 18 has been flawless and perfect, as was my 17. Both 63s! I love the deep rumble of the big liter V8 as well! You are correct, it is 100 percent redesigned. But without a proven track record, and way more electronics! No disrespect! Of course once the new ones are distributed, the older ones may take a hit. But if you are paying full sticker for a new one, and got a good deal on an older one, thats a moot point! Again no disrespect. I think there will always be a cult following of the older model. And think about paying 50 to 75K over sticker on a 63. When they bottom out, and they will, good look on that hit! I'm sure MB will stand behind and fix any issues, if any on the new ones. All I've heard about is a wind sound through a vent, also believe they'll have most of the bugs worked out upon release. I almost bought an 18 G550 as it was on the floor at my local dealer but the color was wrong for me and then after studying all I could find, decided to wait. I'd take any 18 or 19 but it just turned out I went for the 19. Love the white color, that's what I went for too. I wouldn't let one opinion sway me from a good deal on a G63, compared to paying full sticker on a 550. Or 50 K plus over sticker for a new G63! I didn't buy mine for creature comfort, and softer looks, and a smaller engine note sound. But I did for the military rugged looks, the status symbol AMG appeal, and that live front axle and short turn radius. Its what makes it so different and unique! Now thats me just giving another viewpoint. If you want the softer look, better ride and handling, and a bit wider track, etc. Along with electronics galore, cup holders! I respect that. Either way you choose is not right or wrong! Drive them both, look at them both, listen to them both. U will figure it out!